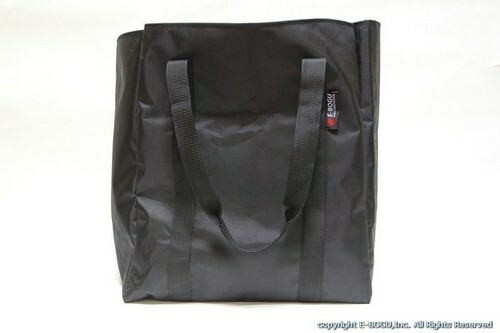 Made of very durable 1680D Polyester fabric, with reinforcement throughout. 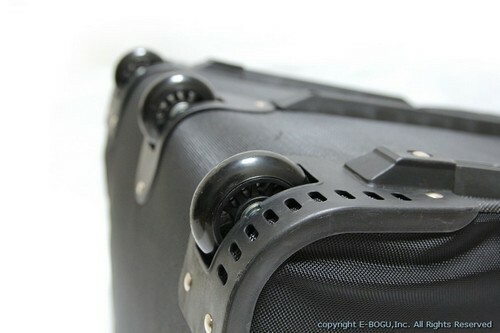 Padded throughout the inner side of the bag for total protection of your Bogu. Triple wheel for good balance, and easy rolling. Inner pockets to accommodate accessories. It holds a Do and a Tare very comfortably. 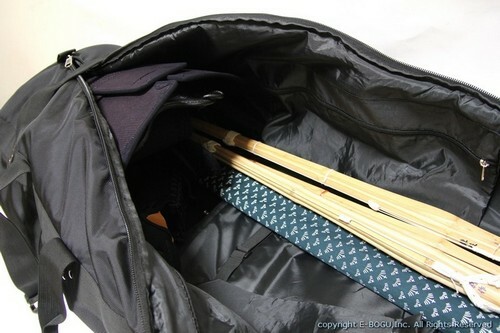 The length of the bag is perfect size for the Shinai. 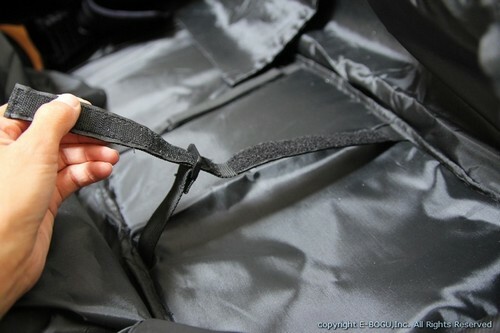 Padded with soft material throughout the bag. 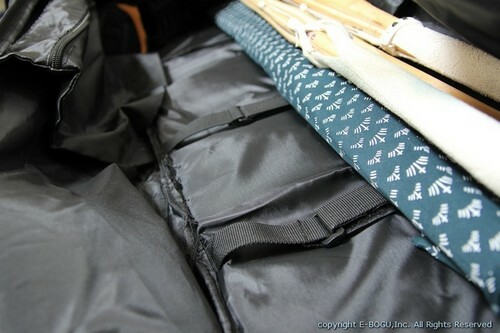 Straps to hold the Shinai inside the bag. 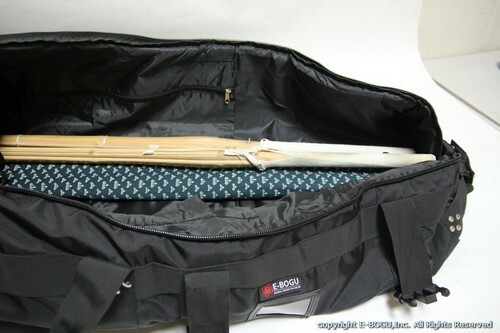 Add a Deluxe Tote Bogu bag (Above) and Universal Shinai Bag (Below) at a discounted price. I'm so excited about this bag! It's huge and should easily be able to fit my husband and I's sparring gear for traveling and flights! It'll be considered an oversized bag if I'm not mistaken, but since it's large enough to carry both of our sets of gear, we'll only have one oversized bag checked and maybe just backpacks flights. It looks like there's enough room for clothing as well! 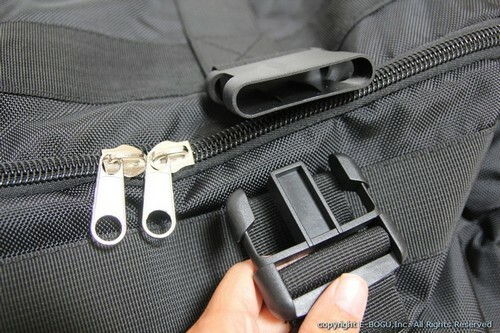 Very sturdy, heavy duty, lots of cinch straps and handles. Highly recommend getting this if you travel with sparring gear! I still have to test it out, but the first Impression looks really good. Very nice size for travel. Seems very well made. Everything fits. 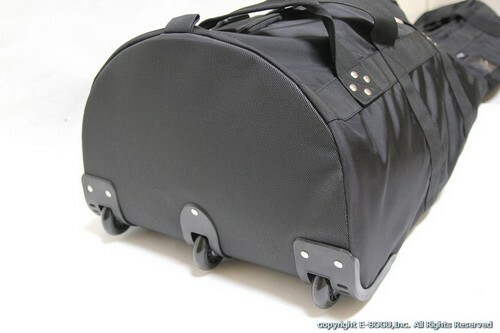 It could use a couple more pockets sewn in to the inside for packing non-kendo stuff. The bag looks good. Questions about the bag went unanswered on three separate occasions. Twice by email and once by the pop-up box.